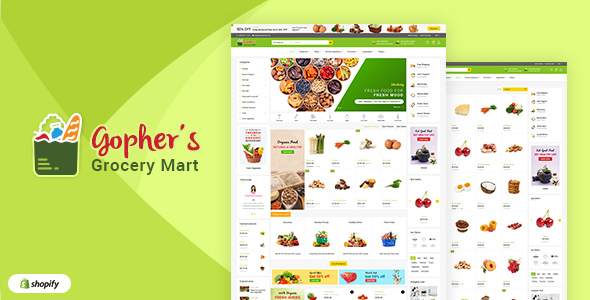 The Gophers is a magnificent and unique looking grocery mart Shopify theme comes with inventive design and latest Shopify features. Thanks to the excellent combination of astonishing layout and awesome background color, your products will be shown in an outstanding look that catches your visitors hearts on the first visit. As well, you can fascinate the customers with the wonderful deal products displayed at the top of the homepage. Besides, the Drag and Drop Shopify Section makes the customizing of your website as an easy job for you.